Our personal computer is surely one of the best friend that you have all the time. They assist you in doing your works at office, home, maintaining your contacts, Chatting, entertainments, Gaming and all other activities are you just with your PC. Thus we need to keep it efficient all the time. So some PC preventive maintenance steps should taken. For the first time i used my PC without having any idea of running this tricky machine efficiently. I copied all my films, songs in the desktop since i don't know what is even "My computer". After one or two months my computer slow down and it become filled with naughty viruses and what to say more, it become a useless machine in two months. But After reading some books about computer maintenance and keeping it more efficient, I got the idea and gradually my sense of computer maintenance increases and i repaired my pc myself and now i can say my computer is much efficient than ever. 1. Make sure you got the right supply voltage all the time while you operate PC. Avoid connecting your pc on fluctuated voltages. You must use a UPS (uninterrupted power supply) for this purpose. 2. Choose a right kind of ups for your PC. If you have a PC with CRT monitor(15",16"...19") You need to buy a UPS with 600VA or more capacity, in order to maintain the continues power supply to PC. When you choose a low power UPS to drive a CRT, the problem is when the monitor turn on or reset, the CRT will draw a large current from the supply even for a little time causing the power supply to be reset - The pc will also be restarted. So choose the right option. 3. Never buy cheap rate UPS - Always buy a standard guaranteed one. 4. Grounding, The most important factor that determine the life of your computer. Make sure your power supply sockets where you connected your PC power cable have a good ground connection. If doesn't have, contact an electrician to make sure the ground socket pins are earthed. A bad ground connection may damage your computer processor as well as your peripherals connected to it. ( I think it is due to the fact that the microprocessor of the computer system is connected to the cabinet through grounding, when a voltage fluctuation occurs, it will also reach the processor). So make sure you grounded your PC well before operating. 5. Avoid loose contacts. Do you find your plugs pins get sparked during you switch on the power supply? Then turn off your computer immediately then reconnect to fix it or replace the sockets if required. 6. Keep all units inside the computer, outside computer peripherals, monitors dust free. Dust inside a PC will make headache to your PC as well as you. 8. Clean the memory module (RAM) and its slots by taking out the card and wipe it using a soft cloth. Dust forms static electricity in memory modules causes the computer fails on start up. So keep it always dust free. 9. Remove dust cover of the PC during its working. Because your PC have a no. of exhaust fans inside it to keep the processor as well as mother board cool. It may not work when you covered it up. 10. Make sure that your PC maintains constant temperature during its work period. If it tends to be overheating, add extra cooling fans. This will increase the PC's longevity . 11. Prefer LCD over CRT screens. 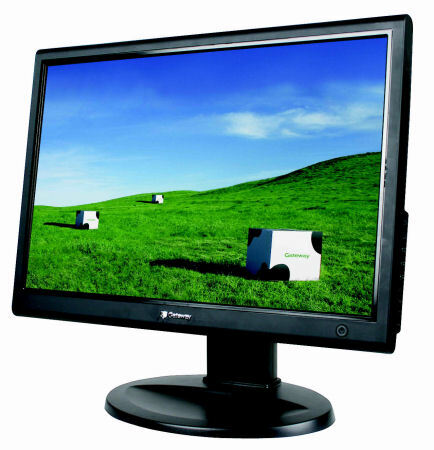 If you have plans to buy a new pc, buy an LCD monitor because they not only consume less space on your table also echo friendly. ie they will only consume less energy than CRT consumes. 12. After you installed a fresh copy of operating system(OS) in your computer, take your time to make a back up copy of it by using any software's like GHOST. This will be useful while your pc get infected by virus or you want to re install the OS for any reason. 13. Use a good anti virus software to beat virus and other malware's. Installing any Anti virus makes no protection until you take care of it. YOU SHOULD UPDATE YOUR ANTI VIRUS REGULARLY. For those who don't want to buy a anti virus should use a free one like avira. Dont use cracked versions because they will become another problem after updating it. Be remember that it is better to leave your computer without have an anti virus than using an outdated anti virus software. 14. Install at least 1GB RAM for efficient performance and for reducing errors while using graphics related applications. The problem is when you tries to play a high end game or a software with lower RAM, there is a chance the program to get stuck. Then what you may do? simply press the reset button that cause the hard drive to make a bad sector. It repeats next time. However these plays are bad for for computer to run properly. So avoid running such programs on a low resource computer. 15. Defragment your hard drives once in a month. As files are continuously added and deleted from your hard drive, they spread all over the disk space. De-fragmenting a hard dive makes to re-order and index the files to access the required data fast. 17. Empty temporary internet files. This can be done in the same way that you deleted temporary files but one difference is that you should type "%temp%" instead of "temp". 18. Empty your recycle bin. Always aware about the files that you deleted. Most of the people deletes the files by right clicking and selecting delete. Note that it will just move the file to recycle bin, in fact another folder in your computer. To prevent this and make sure you completely deletes it (cant say.. but), select the desired file and press shift+delete. 19. Empty your web browser cache after you browse internet for a long time. your browser will store some data during surfing over internet. So we can access the web pages much faster. But when this collected data become junked, it will give an opposite result. In internet explorer, Tools>>Internet Options. under temporary internet files check delete off line content and hit OK.
20. Periodically clean up the registry. after installing or uninstalling some programs or surfing trough internet, there will be left some invalid registry entries, day by day. This will cause the computer to slow down and freezing. I personally recommend Tune up utilities to maintain your pc's performance by running their certain clean up tasks. Anyway use much simple software's like this is a better idea. 21. Pay attention to your start up programs. Many people don't care about the installed software's. Check your start up programs and leave only essential programs activated. this can be done by typing "msconfig" in the run command box there by opening windows configuration utility. Select your entries under start up tab. 22. Uninstall programs that you no longer use. A huge no. of installed programs may slow down your system because each one creates its own registry entries when you install it. 23. Delete music/video files that you no longer use. you may write it to a DVD. Make an overview about files in your system and remove unwanted files. you will get surprised to see how much space that free up. 25. Turn off your monitor during the time you dont use it. That means you may turn off your monitor during listening to music. in case of a CRT you will save more than 50% of power by only doing this. 26. change the location of my documents. This is important because most of your personal data, saved game files , work files will be stored here default. The problem arises when you suddenly have to format your the c: drive of your PC. you will lose all data if you will not change the ma documents location to another drive. To make it, click properties of my documents, click move then select your destination. 27. lock your computer with a safe password to make sure that the children doesn't play with your computer. You may enable a guest account to others. 29.Dont click on Yes or OK unless you are 100% sure about that. Otherwise click the negative answer. 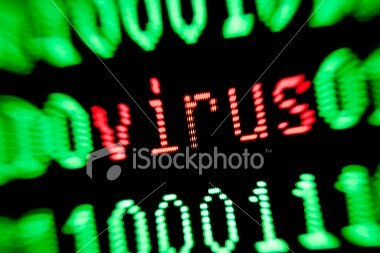 30. make sure that your computer is clean from virus and other threats. To do this make complete search for virus's at-least once in a month using your updated anti-virus. 32. Be aware of things that you accept or allow to process during installation of any program. create a restore point before performing any risky things. 33. always make sure that your firewall is ON while you surf on the web especially with a faster internet connection unless you have an external firewall. 34. 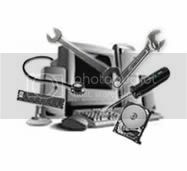 It is better to have a PC maintenance software like pc doctor or tune up utilities installed in your system. 35. It is recommended that you do not modify or install any third party themes to your computer because this will cause slow down your PC if you do not have enough memory. 36. Turn off remote assistance and remote desktop unless you are part of a network. these services sometimes allow hackers to use your computer and access your data. 2. Double click on "System"
4. Deselect "Allow Remote Assistance"
5. In the same tab, click advanced then deselect "all users to connect remotely to this computer"
37. Run Xp chkdsk to scan your disk drives for errors, fix logical errors and aware about bad sectors. 1. Click the hard drive you want to check and right click, select properties. 4. when complete your computer while asking. 42. Ensure the you have the latest windows updates installed. (if you installed a pirated windows edition and have a high speed internet connection, it is recommended that you turn off your automatic updates option. Read to know how? 43. clean your email inbox and sent box often. This will reduce the chance of getting your inbox junked with mails that you recieve. 45. Always keep the CD's that coming with your computer especially Disk's thet contain mother board, dispaly drivers. these are useful when you re-install your OS each time. So dont let it scratchedor lose. 46. Never unplug your computer peripherals from the system During it's switched ON. why? This can short circuit the pin out's from the mother board causing a damage to it. 47. Always keep a back up copy of your file before you goning to make any changes to it. 48. If you use a high speed internet, it is better to have an external firewall to protect your system. Dont forget to update it regulerly. 50. Read the above tips once again and make sure that your computer performing well with these tips. This is only my small attempt to provide some tips to taking care of a pc for begginers. suggestions for improvement will greatfilly recieved.